Cultural commentator Camille Paglia said in a recently published video that second-wave feminism  in its attempt to destroy men  is also destroying women and our culture. A video of Paglias discussion at the Battle of Ideas festival in London in October 2016 has been made available on YouTube and was recently linked to on the Drudge Report. 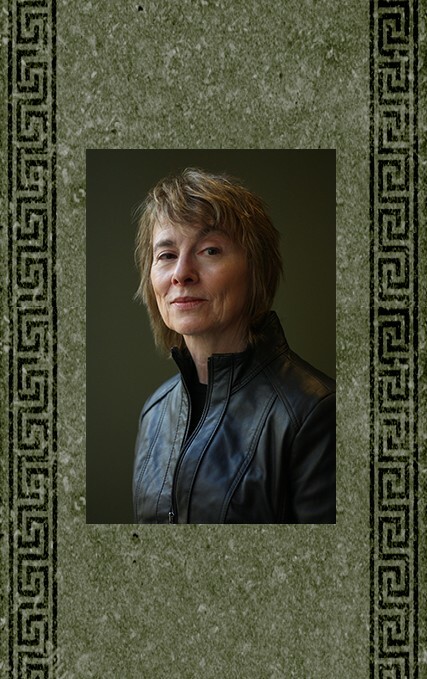 The video is released with the launch of Paglias new book, Provocations: Collected Essays. I think Camille has been reading my FR posts concerning Feminism. Physical = 100%, Personality = ZERO! So there you have it. FEMINISM HAS CAUSED A TOTAL OBJECTIFICATION* OF WOMEN BY MEN! *"the action of degrading someone to the status of a mere object." I find Camille’s talks very refreshing. I do not have to agree with her politics, but she is honest about it. I always liked that she stood up for Sarah Palin in that while she disagreed with Palin, she liked that fact that a woman was running for the second highest office in the land. That empowered women in total. I think that in secret, Camille would be happy with the first woman president as a conservative one, or at least a Classical Liberal. Perhaps a bit liberal on the social side of the scales, but a constitutionalist. Pagila is for women to be equal to men, not surpass. Men and women need each other for completeness. She recognizes the biological, as well as mental differences between men and women. We just look at things differently. Her talk with Jordan Peterson is fascinating as she touches on a mulitude of subjects in a rapid fire succession. She is a pent up energy that struggles to get out all the ideas at once. Paglia is a thinker. Agree or disagree with her, at least she thinks about her reasoning and is not a knee jerk dogmatic speaker. It’s also likely that’s how the Salem Witch Trials got started. Things were very different back then. Camille is like a bombshell she just destroys the objects of her wrath. Always interesting, I am surprised she can walk the halls of a university. We just witnessed the epitome of toxic. And I think it is going to kill the Demons. She is right. One smart liberal. Damn! I followed the link and watched the YouTube video embedded. That girl needs to cut back on the caffeine! I think though, Ill stick to her written articles. LOL! PING. Paglia is great. She tears 2nd Generation feminism to shreds in this video. Hats off to the person who edited this video and compressed what was probably an hour into 15 minutes of action-packed commentary. Why is it so rare to find spokesmen in the Academy who connect with people outside the Academy? Saving this link to send to the women in my life. One of the last of the classic (honest) liberals. She is also one of the most amazingly fastest talking person I’ve ever heard.